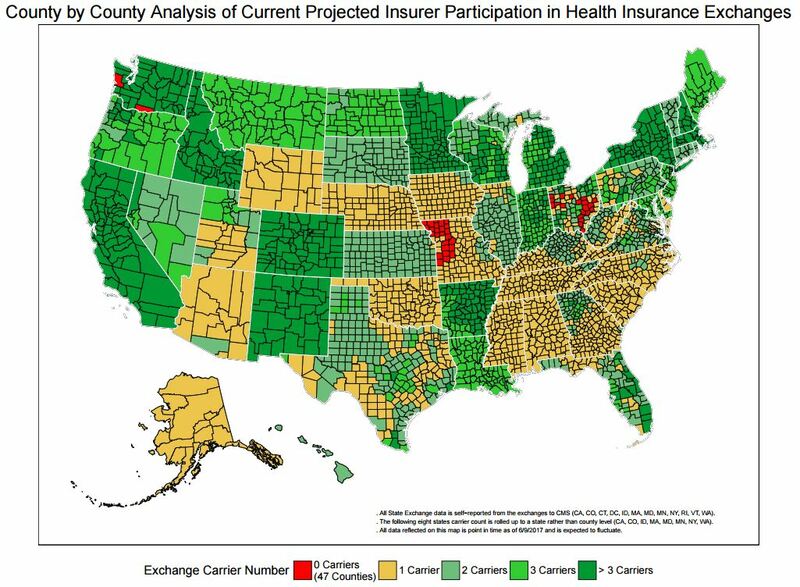 Affordable Care Act: 45 Counties in the United States are losing carriers, while others are losing options. Since its passing in 2010, the Affordable Care Act has been a point of contention among not only Democrats and Republicans, but the public and private sectors of the health industry as well, specifically between the legislation itself concerning the converge it mandates and the insurance companies themselves who provide care. In recent months, however, the profitability and logistics of providing coverage in some areas of the country has proved tumultuous for these companies, to say the least. As a result, they’ve decided to start pulling themselves out of these areas, effectively ending their commitments to provide coverage to the individuals who reside there. This has opened a massive void in the states of Ohio, Missouri, and parts of Washington state, where a cumulative of over 45 counties will have no medicare provider under the Affordable Care Act. This puts thousands of people at risk of having no insurance, and with the recent blackouts, leaves approximately 3 million other citizens in 1,388 counties with only once choice in provider. This is a huge problem, according to research done by the Robert Wood Johnson Foundation and Urban Institute, as most counties with only one provider are subjected to sometimes lackluster coverage and a more narrow variety of options and plans to choose from. Although most American receive their insurance from a private resource such as work or government programs, 22 million people buy their policies directly from Obamacare, leaving a huge gap in coverage when insurance companies decide to back out of markets. Conversely, those who buy plans directly from an insurer or broker, will not be effected by these changes. With the turmoil in the capitol spinning the heads of insurance providers, the market seems unsure in terms of what policies and carriers will be available to consumers in the 2018 fiscal year. With an estimated 10,000 citizens turning 65 every day, the issue of coverage and provider in the limbo between the repeal of the Affordable Care Act and the implementation of the American Health Care act becomes more pressing with each passing week leading up to open enrollment. 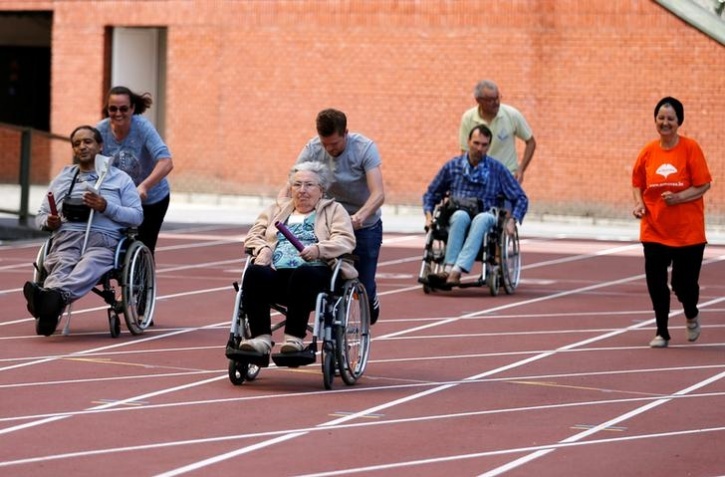 Senior Olympics sporting event held in Belgian capital reinforces the idea that athleticism can be achieved at any age. The Senior Olympics were held in Brussels over the weekend. Traditionally, athleticism is associated with the youthful disposition that most individuals picture a twenty-something year old football player to possess. This stereotype is being challenged by “A Traves Les Arts”, a Brussels based non-profit, who aim to keep the senior community engaged and active by putting on events. The event’s purpose was to engage and excite the local senior community, while introducing them to one another and facilitating a sense of competition and fitness. Individuals took part in events such as shot-put with a wool ball, an assisted 25×4 dash, and javelin tossing, among other activities. A spokesperson for the event made it clear that their goal was to encourage everyone to participate, and that although winning was a nice caveat, the group effort involved with each event was the real achievement for each senior athlete. Participants were thrilled to revel in their athletic achievements, and left the event feeling energized and encouraged that regardless of their age, they were still capable of great things. Some information from this article was provided by Reuters Online, and India Times. By the suggestion of Ohio governor John Kasich, talks regarding Medicaid rollbacks continue on Capitol Hill, with one caveat. 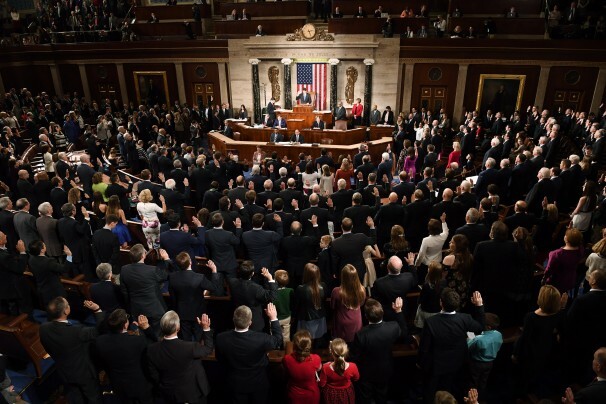 Since Republicans won the majority of seats in the house and senate in last years election, there has been a general consensus as to what their battle cry is: Repeal, and replace The Affordable Care Act, otherwise known as Obamacare. Though there have been some bumps in the road to reaching a unanimous agreement in reference to the terms and conditions of this repeal, Ohio governor John Kasich has seemingly found a condition that both appeases both sides of the issue in house and senate. His suggestion states that in order for states to accept a gradual fade-out of medicaid expansion, which had skyrocketed during the tail end of the Obama administration, congress be required to provide individuals states more fiscal flexibility and privilege to facilitate the procedure. The concern for medicaid coverage being taken out from underneath the poor is shared by a majority of his fellow members and constituents, whom have been rallying behind Kasich since his announcement. In recent weeks, the Ohio governor has been working closely with three Republican senators from the states of Nevada, Arkansas, and Michigan to come up with policy changes that accurately reflect both the sentiments of the Republican majority, as well as the voters that they represent. Of the fifty states making up the United States, thirty-one have agree to expand Medicaid under Obama-era policies. Most moderate Republicans have opted for a slow roll-back of these programs beginning in 2020 and going through 2027. However, if the compromise cannot be reached soon, there will be an immediate halt of all policies due to the passing of the repeal bill by congress in May of this year. Kasich’s hope is to reach a deal with the rest of his congressional contemporaries, and in the process make the roll back of the medicaid program as seamless and transparent as possible for all parties involved, paying specific attention to the privatized citizen that this decision so heavily affects. Some of the information in this post was collected from an article by The New York Times published 6/13/17 , which can be found here.